We’re all well aware that obesity isn’t a good thing (cut to Miranda Priesty muttering “groundbreaking” under her breath). There are pages upon pages of evidence detailing how excess weight affects various organs in the body, but how does it affect the most important one of all: the brain? The New York Times recently reported on a new experiment involving mice that proves obesity has a harmful effect on brain function (mice brain function, that is). Although the experiment was 100 percent limited to the notoriously cheese-obsessed rodents, the results are hard to ignore, and the follow-up questions are endless. How do fat cells get all the way up there and through their tiny rodent skulls? What part of their cute little brains does obesity effect? And more importantly, on the off chance that this has anything to do with humans, can it be counteracted?! Before we move on, it’s important to know that prior to this, in other similar studies on animals, scientists weren’t very clear on how excess weight affects the brain. It was understood that the brain’s insulating “blood-brain barrier” would prevent something like obesity from hurting it. However, recent experiments have proven that excess weight can, in fact, weaken that insolation and get into the brain. Poor mice! This is where the researchers at Georgia Regents University in Augusta come in. They are the ones who conducted experiments on our rodent friends to see exactly how obesity affects the brain. (It sounds inhumane, but this story has a happy ending, I promise.) After breeding mice to overeat, allowing them to do so, and then testing them, the researchers discovered huge amounts of interleukin 1 in their blood. So what? Who cares about interlu-whatever? Well, interleukin 1 is a substance that comes from fat cells and is known to cause inflammation. It can also pass through that blood-brain barrier and, you got it, hurt the brain. To be more specific, it can affect the part of the brain used for learning and memory, also known as the hippocampus. Yikes. Luckily, after trying a couple methods, the researchers figured out an excellent way of getting the mice back to their healthy-brained selves: good old-fashioned exercise. After putting them on a treadmill program for 12 weeks, the mice didn’t lose very much weight. They did, however, lose fat, gain lean muscle mass, and do much better on their cognitive tests than when they were at their largest. See? Happy ending. 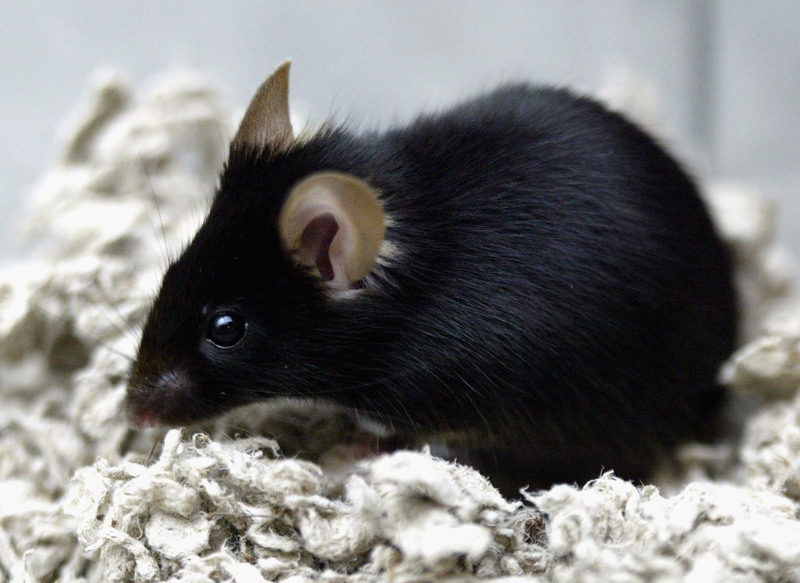 Again, this study is about mice, not humans. It might seem ridiculous to compare yourself to a rodent, but our friends at the New York Times and Georgia Regents University in Augusta do make an excellent point: mouse or not, exercise is good for you and your brain. If anything, I'd consider the experiment motivation to get out of "winter hibernation mode" and start moving again.